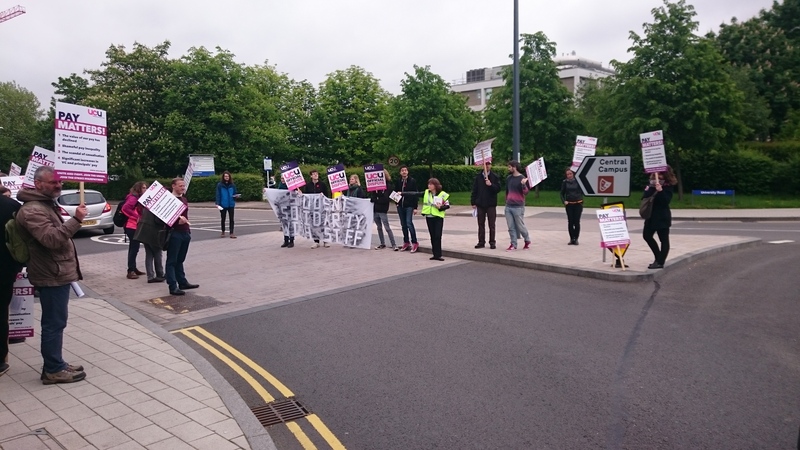 Another strong turnout of staff and students at Warwick University this morning surrounding the main entrance at all entries to the roundabout at the gatehouse. We had an unexpected guest this morning – the VC. 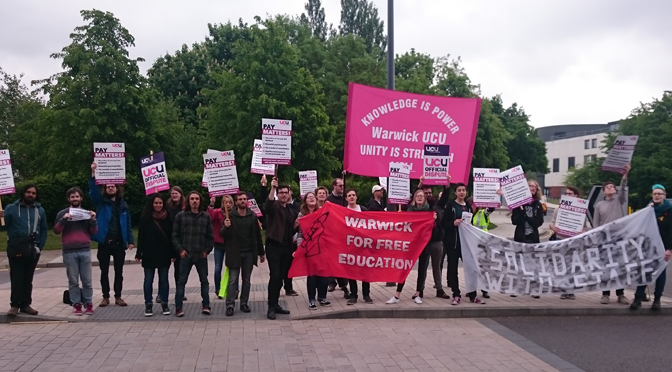 Staff and students at the entrance to the University of Warwick this morning. 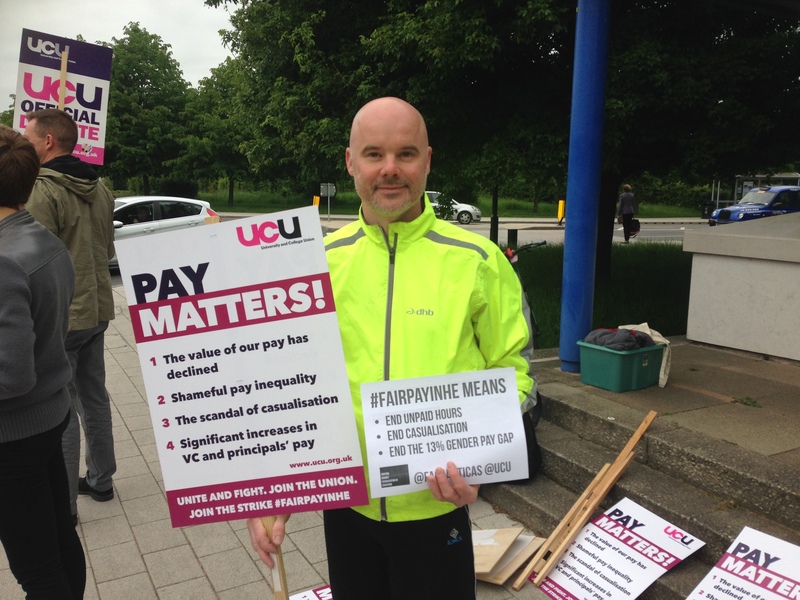 Solidarity in the face of year after year of effective pay cuts, growing casualisation and a worsening gender pay gap in Higher Education. 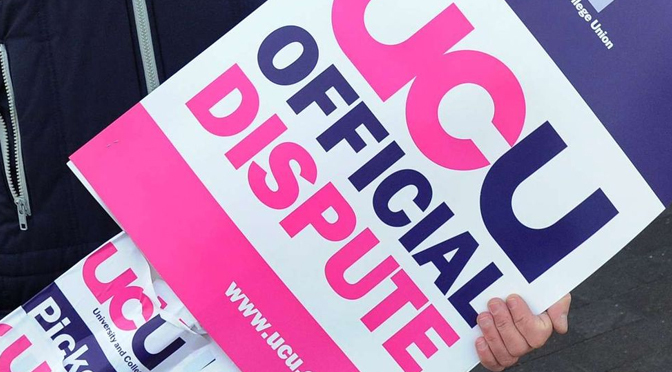 UCU negotiators met with the University and College Employer Association (UCEA) this week in the hope of finding a solution to the current dispute amidst growing anger over news that vice-chancellor pay rose by 6.1% last year. 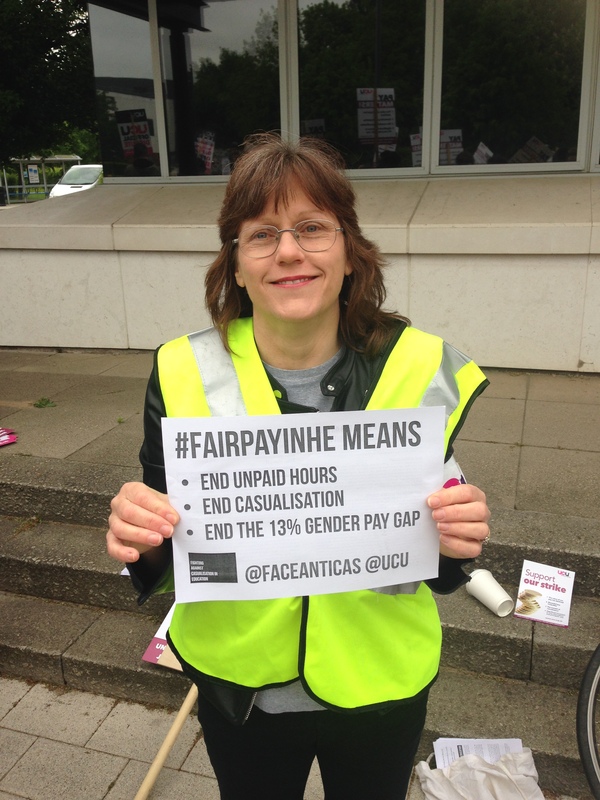 Regrettably UCEA made no improvement on the 1.1% pay offer to staff or on measures to address gender inequality and insecure contracts and the strike action will continue on Wednesday and Thursday next week as planned. 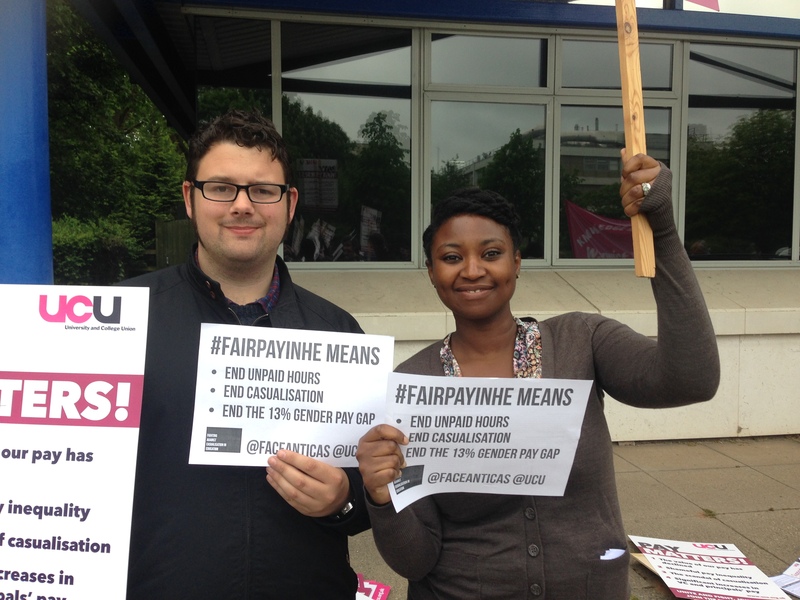 Latest update on our challenge to punitive pay deductions. 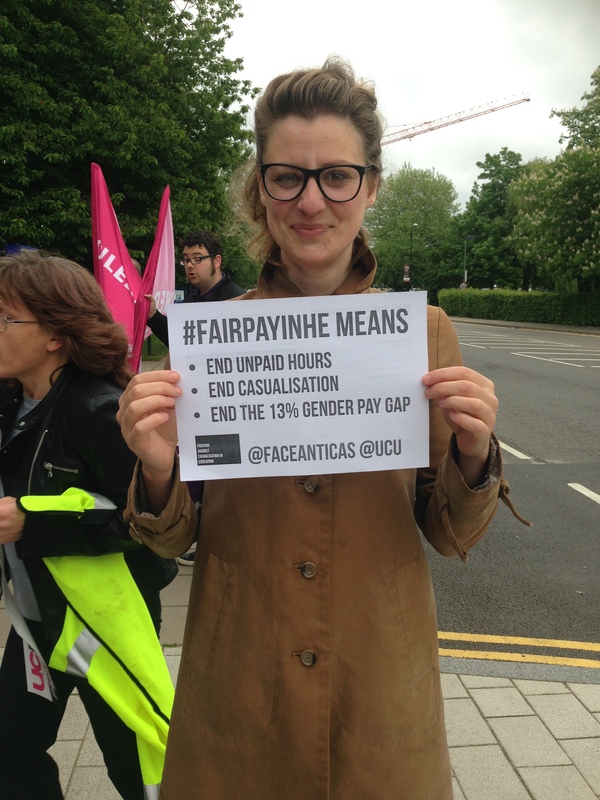 UCU has confirmed plans for a two-day national strike at UK universities as part of an ongoing dispute over pay. 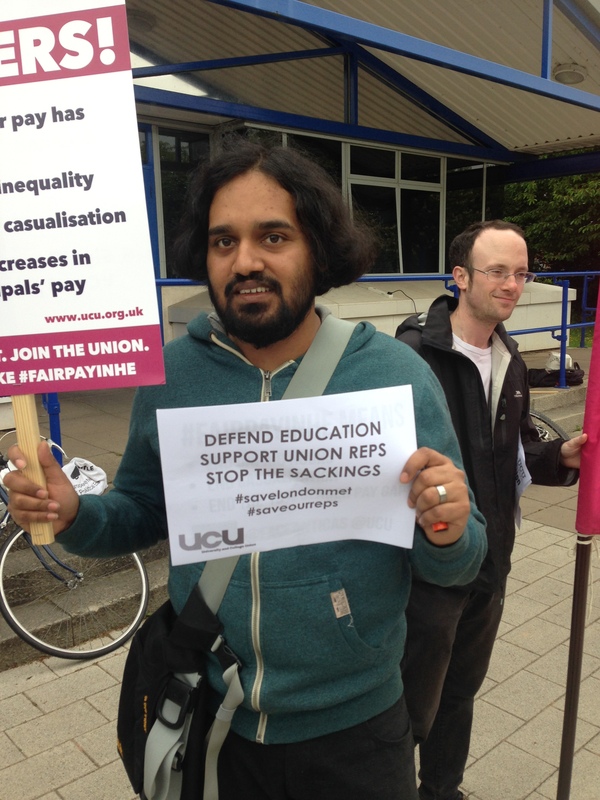 UCU members in higher education will walk out on Wednesday 25 and Thursday 26 May. Staff will also begin working to contract from 25 May, which means they will refuse to work overtime, set additional work or undertake any voluntary duties like covering timetabled classes for absent colleagues. If no agreement is reached in the coming weeks, members have agreed to target further strike action in June and July, and are considering additional action in August to coincide with the release of A-level results. The union is also beginning preparations for a boycott of the setting and marking of students’ work, to begin in the autumn if an acceptable offer has still not been made. Are you prepared to take industrial action consisting of strike action? 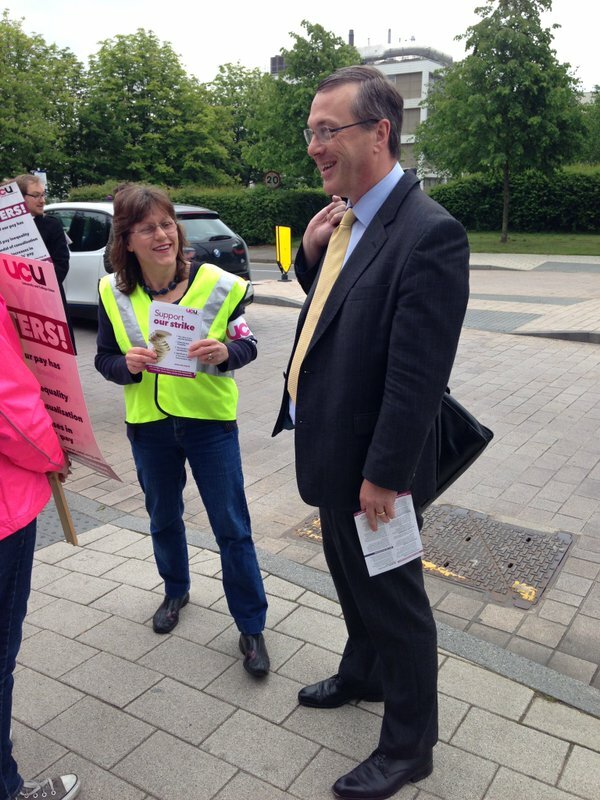 Are you prepared to take industrial action consisting of action short of a strike? You can view the full scrutineer’s report here. 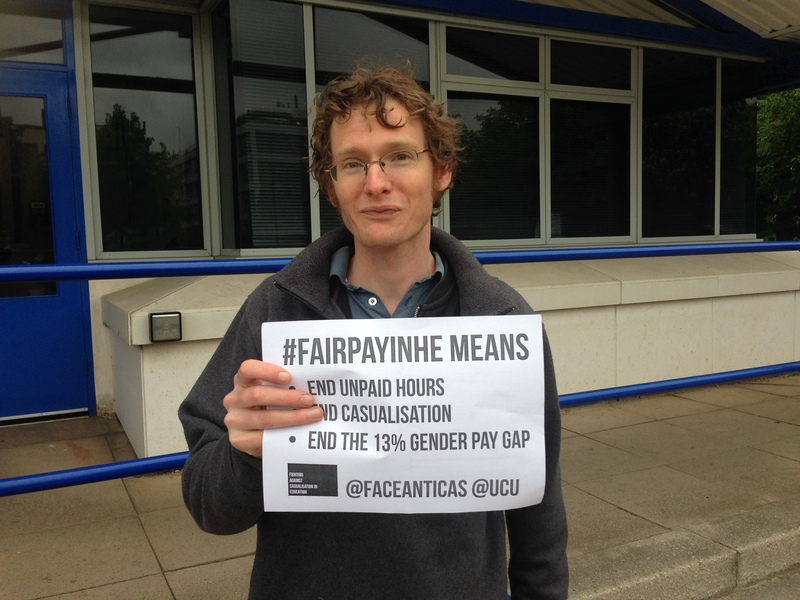 Across the entire HE sector, people like you are being underpaid, made to work under unfair conditions and discriminated against, while vice-chancellors, principals and other top staff are earning almost SEVEN times as much as the average worker. NO JOB SECURITY: over TWO THIRDS of research staff are stuck on fixed-term contracts. First of all – make sure you VOTE before 4 May. Please ensure that you complete and return your ballot paper as soon as possible.